What’s the game you are out to win in your career? Do you have an actionable game plan to make it happen? Get the advice and counsel of a personal manager with more than 16 years of experience developing talent and empowering them to fulfill their career and life goals? Personal manager Josselyne Herman-Saccio, owner of JHA MANAGEMENT and co-author of the book SO YOU WANNA BE A NEW YORK ACTOR?, has been successfully managing actors for more than 16 years and has developed the careers of hundreds of NY actors. Over the past 28 years, she has produced hundreds of commercials, tv shows and has cast and produced award winning independent films. 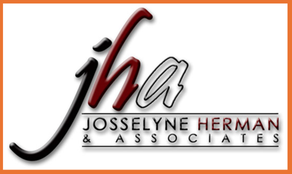 Josselyne has successfully taken people from one level to the next for over a decade and her ability to support actors in creating the career of their dreams has been proven time and time again. In addition to her vast experience in every aspect of the entertainment business (having had a #1 record herself, casting, producing, marketing and managing), Josselyne has participated in transformative education programs for over 30 years, she has led programs for Landmark Worldwide, an international training and development company, for the past twenty three years, programs designed to inspire effectiveness and creativity in others enabling them to make their own dreams come true as well as make the world a better place. - Create an action plan to become "agent friendly"whether it is to get an agent, upgrade your agent or maximize your existing agents activities. Sit with Josselyne (virtual sessions available for actors outside the New York Area) and get coaching, counseling and advice on what actions to take to jumpstart your career or bring your career and your life to the next level.